Today was an incredible day to be a tourist. 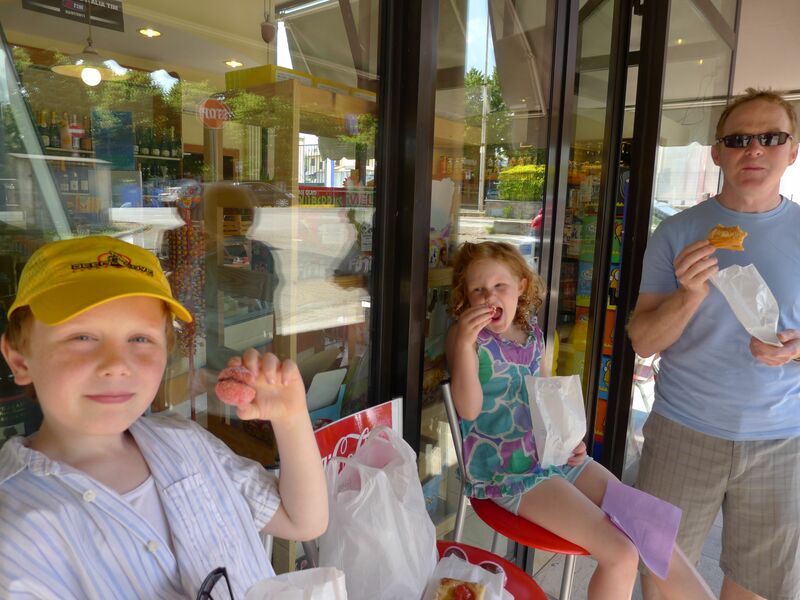 First, we start at a bakery in Scarperia to sample their specialty which we read about in a magazine. They are called ‘pesche‘ and are two little dome shaped cakes that are filled in the centre with a chocolate or cream ganache and then the whole affair is sprinkled in pink sugar so that the finished product resembles a peach. Delish. Next onto a patch of road north of Scarperia to try and catch some of the annual road race through these parts, the Mugello Stradale. We have low expectations of actually witnessing any of it as it winds through various passes throughout Mugello. We regard the race route and consider our chances of seeing any action slim at best. Luck is on our side. A Scarperian directs us to a spot a kilometre north of town, so we head out and seem to be caught up in a part of the race as we pull off at a convenient place to watch the cars roll in. It doesn’t take long – we are in fact in front of a bit of a convoy. 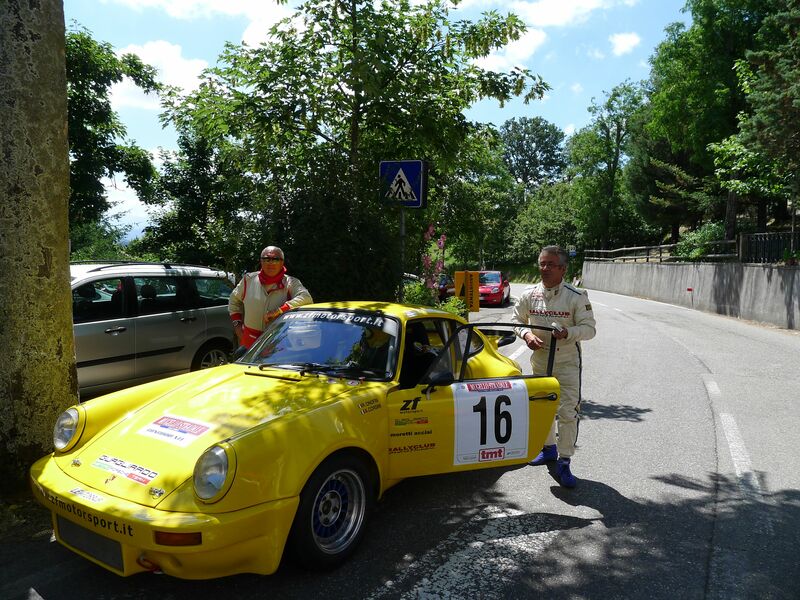 As the drivers debark from their cars to stretch their legs and have an espresso (I’m not kidding) it starts to become obvious that the drivers are all about 60 years old. Who knew? 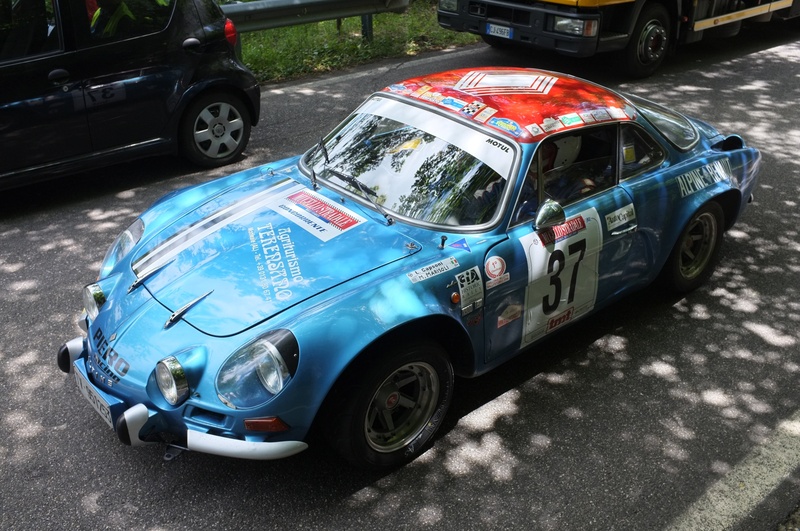 This is my new favourite car: a Renault Alpine. Cooper and I both saw this car and deemed it our favourite, unbeknownst to the other. OK – so we’ve had some success so far in the day. 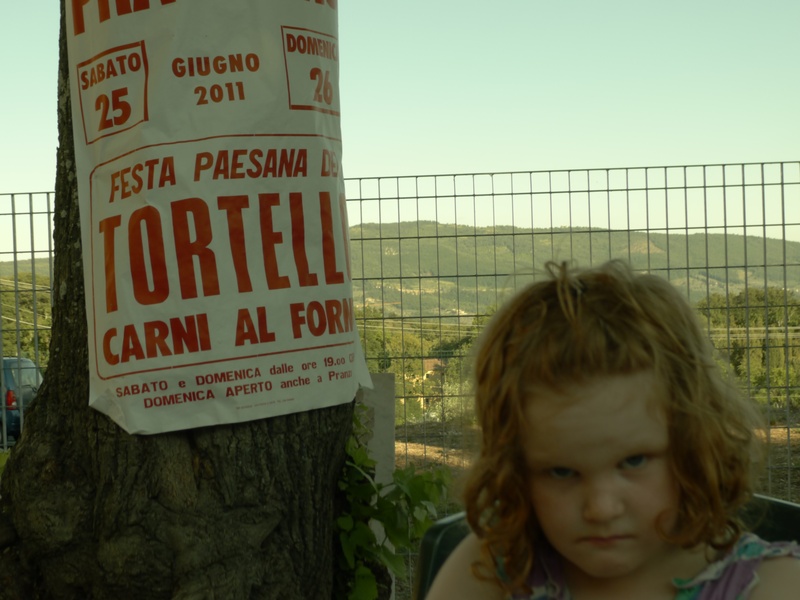 In order to raise the stakes a bit, we set off in search of the mysterious Tortello Festival, a Mugellan tradition that we have been in hot pursuit of for days. 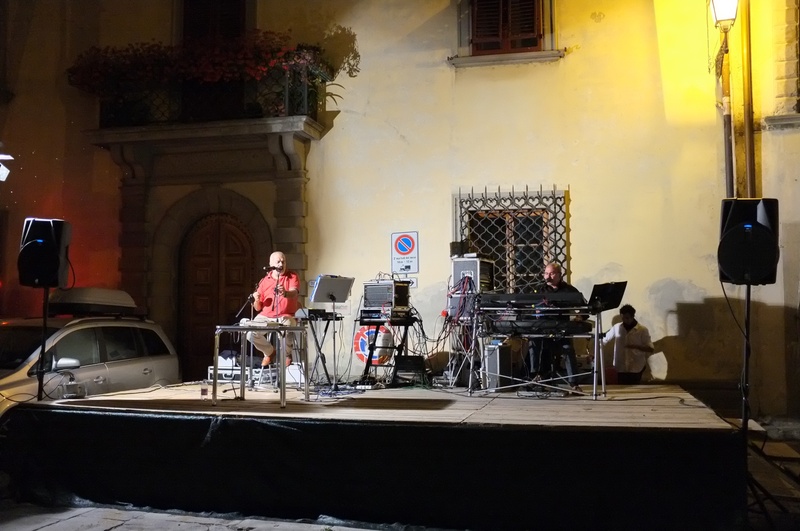 We have been assured by a local (albeit in complete Italian) that today the Tortello Festival in Luco di Mugello will run from noon until 9PM. So we commence our journey and head off. We arrive to an empty parking lot, but more importantly an empty outdoor dining room. Foiled again. These tortellos are shifty. We set off for Dimidoff, a beautiful park that was orginally built by the Medicis (what wasn’t orginally built by them is what I would like to know). For some reason, none of the original buildings survived – I still need to research that bit of info. We have a lovely stroll and then head back to the parking lot to retrieve Stinky and what do we pass along the way? No – not another MacDonald’s restaurant. 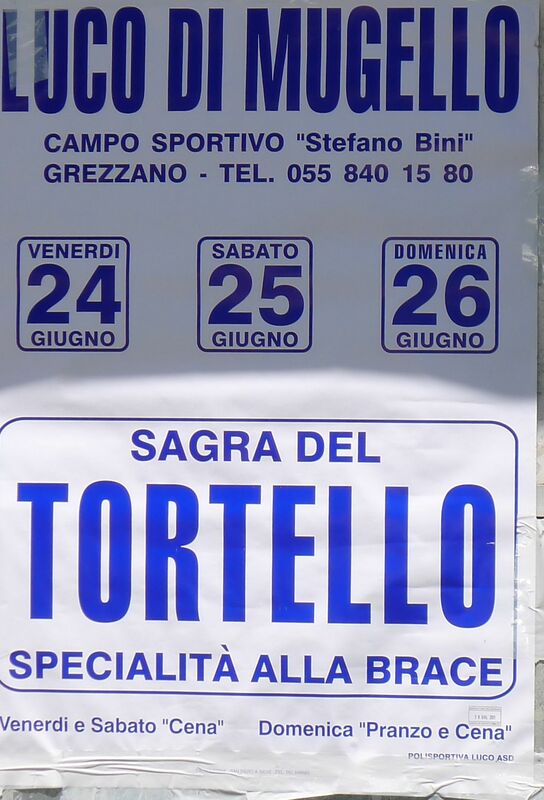 A poster for a Tortello Festival in Pratolino, just north of us. “Why not?” we ask. Perhaps we’ll find a decent pizzeria. But Fate had something else in mind. 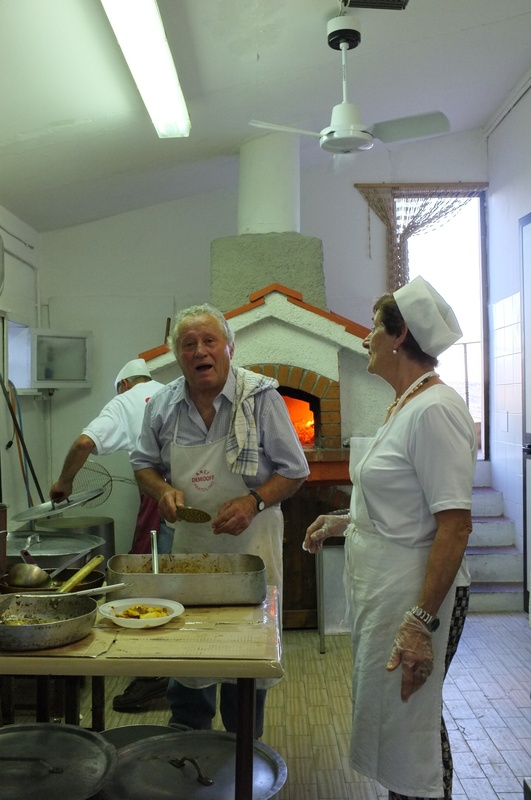 The Tortello Festival was actually happening. How crazy is that? So we feasted on tortella, which by the way are ravioli, and thoroughly enjoyed ourselves. Oh – and by the way, the chefs of this whole affair – 60+.